Let’s say you’re gonna do some tests on your refrigerator compressor to see if it’s okay. Or, you need to figure out how to wire up a generic (Supco) start relay/overload combination. 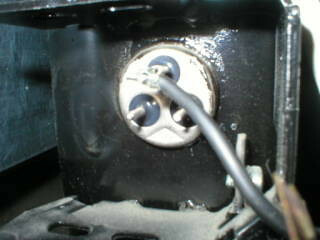 So you pull the relay cover off the compressor, remove the relay/overload and this is what you see. You need to figure out which posts correspond to the Start, Main, and Run windings ‘cuz if’n you don’t and you go and wire that relay/overload up wrong, well, you just went from a $30 easy-as-pie repair to a $300 rectal cramp. What’s a brutha to do? Using a good multimeter set on ohms, remove the compressor terminal cover with the unit off.